Torah Philosophy: Has Science Fizzled Out? 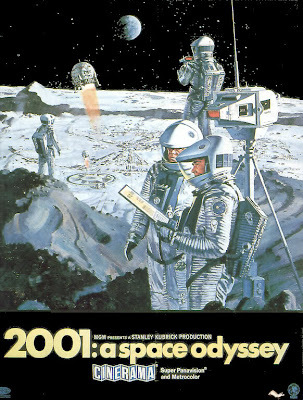 Many will recall the classic science fiction movie “2001: A Space Odyssey” released in 1968. The movie predicted a manned mission to Jupiter in 2001. In reality, it is now 2009 and no man has travelled past the moon. In fact, the last manned flight beyond low Earth orbit was in 1972. At this point it seems questionable whether manned space flight will even continue at all. The pace of scientific progress is obviously considerably slower than what had been expected forty years ago. This is making me wonder if the era of scientific advancement, which began perhaps with the publication in 1687 of Newton’s Principia Mathematica, is slowing to a halt. The average American home of 2009 is not that much different from the average home of 1959. The average life expectancy has increased from 70 to 78 in the US during that period. During the sixty years prior to 1959, however, there was a huge change. Conditions in 1900 were very primitive by modern standards and the average life expectancy was under 50. In other words, my grandparents apparently saw a far greater leap forward in their lifetimes than I have in mine. I am not sure if my children will see much change at all, or if they may even witness a decline in the level of technology. I think this makes even more questionable the belief of some atheists that science will inevitably “replace religion”. It raises the question of whether science is actually hitting a wall which represents the limits of the human ability to understand nature. Einstein in 1936 said "The most incomprehensible thing about the world is that it is comprehensible". Frankly, this seems like silly arrogance. I see no reason to assume that the world is entirely comprehensible to the human mind any more than it is to the mind of a clam or a house fly. There are advances being made, however relatively very small. The biggest thing in the last 50 years is probably that transistors have been made smaller and cheaper. That's about it. In previous times, we had Louis Pasteur, Thomas Edison, Marie Curie, Niels Bohr, Francis Crick, Albert Einstein, Jonas Salk, Robert Goddard, Alexander Fleming, etc. In the last 50 years, I don't think we've had anyone like that. I don't see any explosion. Small, often trivial advances perhaps. Again, my grandparents saw much more progress than I have. If anything, I think we're beginning to slip backward. Look at the space program. In retrospect many things that seem small can turn into big advances. Also, the advances in science is not there for its own sake. It is there for the betterment of mankind's condition on the planet. It's all about convenience. More than anything else there has been a rise in convenience goods in the world in the past few years. Also, I would like to hypothesize that the advent of patents has stifled progress so that people chase after the small things just to get rights to a small patent rather than risk shooting for the stars and having to pay someone else for something they happened to discover first. "During the sixty years prior to 1959, however, there was a *huge change*." ... "There are advances being made, however *relatively very small*." ... "I don't see any explosion. Small, *often trivial advances* perhaps." I wish you could quantify these terms I put in *...*'s . It'll help make it sound more objective than subjective. I have to disagree with the very premise of your argument. 2001 didn't *predict* a manned mission to Jupiter (or Saturn -- as it is in the book), but rather told a story. It's a work of fiction. Clarke wasn't predicting the future, he was writing a story. Will you also say that science "fizzled out" if they don't find a monolith on the moon when/if we ever go back? Will you say that science "fizzled out" because we didn't produce a race of genetic "supermen" in the 1990s as "predicted" in the Star Trek episode "Space Seed?" Will you say that science "fizzled out" because no one has developed a time machine as in the H.G. Wells classic? In short, using a work of fiction to "prove" that science "fizzled out" becuase reality didn't live up to the story is just plain stupid. The point is that science seemed to have had a golden age from about 1860 to 1960 and the expectation seemed to be that this would continue forever. But it hasn't. Movie audiences in 1968 apparently felt that astronauts reaching Jupiter in 2001 was very plausible, in a space ship piloted by an intelligent computer no less. It's 2009. We have the iPhone. I'm not knocking the iPhone, however something fundamental seems to have changed in science. I have to confess by the way, I'm a Spock fan. Listen, you could also point to the TV show Space 1999 which, in 1973, assumed a fully manned base on the moon with articifial gravity, laser guns and interplantery travel. Like the Wolf said, it's all fiction. I think the reason you think that the advances are trivial is because you're used to big advances. The creation of the Internet was a huge jump forward in technology but looking back it was taken in stride as just another jump. Look at the field of medicine - stuff like laparscopic surgery, new cancer treatments, a complete change in the understanding of heart disease from 10 years ago. Science is progressing in rapid leaps and bounds all the time but it's not novel to see such jumps so we assume it's not as big a deal. Try this exercise - go back and imagine life in 1970. Now look at how many jumps in science we don't even realize happened until we remove them from our lives. The advances made from 1910 to 1960 are vastly greater than those made from 1960 to the present. The biggest change in the past 50 years is probably the miniaturization of transistors - very nice, but not really earth shattering. And even the increase in life expectancy since 1960 may have more to do with Medicare and Medicaid than with anything high tech. How much new science is just industry advertising and propaganda and how much has really improved lives? This makes it even sillier when people argue “If Judaism is true then surely scientists would see that!” Who exactly are these scientists and what are they doing? >>>This makes it even sillier when people argue “If Judaism is true then surely scientists would see that!” Who exactly are these scientists and what are they doing? If its good enough for Einstein to dismiss god and biblical myth as nothing more than human invention, its good enough for me. Its nice to have the greatest scientific mind of the 20th century in my corner. And you're wrong. Just like if you lived in the 17th century and were a Christian and had Isaac Newton on your side. I understand that Einstein was a serial adulterer. Not good enough for me. Sorry. And what's been new in religion for the past 50 years? Any progress? The absurdity of this debate is truly astounding. The fact that Star Trek didn't become reality doesn't show anything, other than that the creators of the show had a terrific imagination. While science will probably never "replace" religion, profound scientific advances continue to give explanations to phenomena that heretofor were considered mysterious and sources of faith. They will also give tools to man to control and manipulate his environment in new ways. The major erosion of faith due to science has already occured in the previous century. Furthermore, since industrialization has allowed man to produce more food than he needs, he is much less dependent on the whims of nature for basic survival. And his mobility has allowed him to not be tied down to any "community". In the Western world secularism will continue to dominate. China has been going in that direction, too. What happens in the Muslim world remains to be seen, although the signs are not encouraging. "And what's been new in religion for the past 50 years? Any progress?" Our progress is losing garbage like you. "The absurdity of this debate is truly astounding." Not exactly. I find that if you really keep bugging them, atheists will finally admit that they believe they are right since "scientists say so". I'm wondering, who exactly are these scientists, at this point in time? Is this the main research they are doing? I think from Louis Pasteur to Jonas Salk, scientists did make dozens of astounding advances and understandably achieved tremendous prestige. In more recent decades, not so much. The Western World will bwcome extinct real soon. Iran has the fastest growing science community in the world. They are still pretty fundimaentalist. And a lot of scientists were very resistant to the discovery of the exoanding universe and the big bang because it provided support for Genesis. Terrific. You'll eventually be left with 9 fundies who each think all the others are wrong. Science isn't replacing religion so much as continuing to show that religious thinking doesn't explain anything. The biggest breakthroughs in science occurred by departing from religious-based dogma. The truly exciting and difficult parts of science now are filling in all the details, all the stuff that holy books never mention, know nothing about, and could never comprehend. "You'll eventually be left with 9 fundies who each think all the others are wrong." "Science isn't replacing religion so much as continuing to show that religious thinking doesn't explain anything." The Torah teaches us where we came from, where we are going and what we are supposed to be doing here. Science has explained a little about nature, knowledge which can be used for constructive or destructive purposes, however that now seems to be reaching a standstill. In almost all the comments, I think there is a little misunderstanding. I am not saying that scientific progress is dead. I am saying that in comparison to the century from 1860 to 1960, science has fizzled. In other words progress is now far smaller and slower. I am suggesting that there may be a fundamental neurological reason for this. We have now understood pretty much all we can understand. "We have now understood pretty much all we can understand." Umm, I suspect Darwin's theory was not in your mind when you wrote that. >> I am suggesting that there may be a fundamental neurological reason for this. We have now understood pretty much all we can understand. From a creationist site, enjoy these recent advances! "I suspect Darwin's theory was not in your mind when you wrote that." An amateur, middle aged English naturalist writes a silly, non-peer reviewed book promoting atheism. That's not really science. Sure, if you just look at the fact that we live in houses with roofs, running water and electricity, nothing has changed in the past 80 years. But you ignore everything else. I would say that the ability, via thoughts alone, to control one's environment, activate machines and artificial limbs, is a pretty significant jump for mankind. Yet it is not science fiction, it is here. The stuff of sci-fi coming true. The ability to give paralyzed people the ability to manipulate the environment. And functional MRI helps us understand more and more about how the brain works, so we can manipulate it or emulate it. Hardly the limit of human understanding. Hardly science fizzling. I would also posit that this will affect mankind more than putting a man on the moon. Also, the household microwave oven has probably changed peoples' eating habits more than anything else in the past 30 years. The cellular telephone has completely changed the way people work. Even though I wouldn't call this progress, war is different now. 4th generation warfare--asymetric guerilla urban warfare--makes classic open battlefields with armor, tanks and infantry a thing of the past. All of this is made possible because of internet, cellphones, and affordable air travel. Any bearded psycho-mullah with a grudge, a few dollars and a PC can set up his own militia or terrorist gang. So if somebody went into a coma in 1955 and woke up now, he would face a very different world. "An amateur, middle aged English naturalist writes a silly, non-peer reviewed book promoting atheism. That's not really science." A primitive and ignorant bunch of men from 3000 years ago wrote a silly little collection of books purporting to know the history of the universe and promoting belief in an imagined angry man in the sky. That's not really history or morality. "The ability to give paralyzed people the ability to manipulate the environment." Well, my son's quaduplegic. I don't see much changing. "The cellular telephone has completely changed the way people work." For very few people. Interestingly, as far as I can tell, the average American today works longer hours for a lower standard of living than they did forty years ago. It takes two incomes now instead of one to have that suburban home with two cars in the garage. It think taxes are a lot higher. You might want to study the American Revolution. It was basically just farm boys with guns, blowing the head off of any red coat who dared to leave the occupied cities of New York and Philidephia, who won the war. That's ultimately why foreign occupations never work in the long term. "A primitive and ignorant bunch of men"
"Well, my son's quaduplegic. I don't see much changing." I am very sorry to hear that. May I recommend you keep up with the latest developments of this research center? I have not included recent advances in Biology, Chemistry, Earth Science, or Medicine. All of these discoveries, however, are 'game-changers.' These are big achievements. So, I don't think science has fizzled out or is fizzling out. On the contrary, science is accelerating and getting us more and more reliable about the universe(s). It's tempting to view the past charitably and the present with suspicion or dread. Every generation decries the young and elevates the old and the dead. We need to be careful not to allow this temptation to cause us to be biased. In 1927, Charles Lindbergh made the first non-stop flight from New York to Paris. Forty two years later, in 1969, Neil Armstrong walked on the moon. Forty two years after that, in 2011, US manned space flight may be suspended for the forseeable future. Some Russian and Chinese low orbital flights may continue. Doesn't sound like acceleration to me. In the 600th year of the 6th millennium (5600 = 1840 C.E.) the gates of supernal wisdom above together with the wellsprings of wisdom below will be opened up and the world will prepare to usher in the 7th millennium. This is symbolized by a man who begins preparations for ushering in the Shabbat on the afternoon of the 6th day. We still do about 8 space shuttle launches per year. 30-40 years ago, one launch was an event. The pace has accelerated in many areas, but it's not quite the media event it once was. In any case, it's not just the fact of having launches, but the data that's collected which is important. You are entitled to your opinion, of course, and I think in many ways you are correct that scientific breakthroughs aren't as immediately world-turning as they once seemed to be. But the science and technology being practiced today in all fields is doing astounding things. Remember cloning? That's recent and was once thought to be a big deal, but now it's yesterday's news. What about cryogenics? We do that, and it's the stuff formerly of science fiction. I rather think the advances of the past are rather ho-hum. Thinks like flight and automobiles could have been achieved much earlier. Even computers have a long history of dormancy before becoming the kinds of mass-produced, more powerful machines that everybody seems to have. I don't see what's important about cloning - one parent instead of two. Who really needs that? And what do you mean by cryogenics? Cryopreservation? That still only works with small embryos. Obviously, the funding and prestige of scientists depends on being able claim that great things are being done, however it's obviously not the case. The iPhone and Viagra are nice but don't compare to the automobile and polio vaccine. Ah, well. De gustibus non est disputandum, I guess. Meh. This is a good illustration of why religious zealots cannot do science: they are compelled by ideology to reject evidence. Your sweet little assessment of science is amusing but based on a hasty generalization from a poor sampling of evidence. We continue to exceed and transcend the natural limitations of humans to comprehend the world. That's what science does. It's what allows us to see and know things that would otherwise have been impossible. The limits of human cognitive ability account for why we have religious beliefs. It's why we irrationally insist that an invisible father figure made us, is watching us, and cares about everything we do and think. Whether science is advancing faster or slower than before, it is still leading to new knowledge and new human capabilities. As someone has already asked, "what has religion done lately"? When was the last time religious belief brought back any new information about the world? Well, if you are excited by a religion which is always coming up with new discoveries, you can check out the Mormons, for example. Personally, I’m more comfortable with the Jewish concept that God told us what He wants us to do one time, in the Torah, and that’s it. New leaders, real or phony, can’t pop up every day with some new ideas. But maybe that’s just me. Anonymous wrote: "The limits of human cognitive ability account for why we have religious beliefs. It's why we irrationally insist that an invisible father figure made us, is watching us, and cares about everything we do and think." Eh, buddy, why do you think your own "human cognitive ability" is an exception to the rule? "New leaders, real or phony, can’t pop up every day with some new ideas. But maybe that’s just me." whats funny about this is that 50% of the stuff we orthodox do (probably more) is just that. I guess I can't win. If Judaism stays the same, then it's no good because "what has religion come up with lately". If Judaism changes it's no good because "it's just some new stuff someone made up". "I guess I can't win." I never thought I would say this...but JP, you are right-on. Would love to hear about some of these recent changes in Judaism. No one can win an argument with liars who just make stuff up to support their side. "Would love to hear about some of these recent changes in Judaism." ??? What stuff in these comments above was made up? You say, "In addition to that, certain Jewish practices have been instituted by the rabbis during the centuries since the Torah was given at Mount Sinai. These practices are meant to reinforce and strengthen the observance of the Torah. For example, prayer is a Torah commandment. Praying three times a day is a rabbinical commandment. Not marrying a gentile is a Torah commandment. Not drinking wine handled by a gentile is a rabbinical commandment. In ancient times, the rabbis determined that certain new laws had to be enacted to safeguard the observance of the Torah. These are not part of Torah and they may someday be abolished, following the coming of the Messiah and reinstitution of the Sanhredrin. These rabbinical enactments are also recorded in the Talmud." So...no real recent progress in Judaism, then? Sorry you realize you can't 'win,' but the point is that there's nothing new to learn from Judaism. Maybe you don't like the pace of science (although there are many sciences and you don't indicate your level of familiarity with them), but it's a brute fact that science collects data about the universe(s), and there's always new data coming in. Judaism is dead, it's not bringing in any new ideas, any new knowledge, or any new human value. I was born a Jew and I will always identify myself as a Jew. But let's not fool ourselves, even about god or Judaism - this is the lasting inheritance of Judaism. you mean like most artscroll books? or stories in the gemorah? or nonsense about the oral torah laws? or da'as torah? yea, i see where you are coming from. "no real recent progress in Judaism"
I look at the Torah as a letter which was written from a wise and loving father to his children. Such a letter would most likely include information about where the children came from, their origins and instructions about how they should lead their lives. So I'm not sure what sort of "progress" you expect to see. Does the idea of ongoing revelation, where every morning you wake up to a new doctrine seem more authentic? "you mean like most artscroll books?" I was thinking about atheist blogging in general. Do yoy think the Mormon account is authentic? Why or why not? You bring it up a lot. Then why bring it up? Don't you have anything that might possibly show Judaism isn't fizzling out? It was relevant to the discussion. The average American home of 2009 is not that much different from the average home of 1959. Um... two problems. First off, regardless of the truth of that statement, it bears little or no relevance to your contention, namely that science is dead or at least dying down. Even IF the average American home of 2009 was not that much different from the average home of 1959, that is relevant to the current progress of science HOW? Second of all, your statement is false. (For the purpose of discsussion let's ignore the massive social changes over the last half century and focus on technological ones.) Uh...hello?! Changes in household technology was immense over the last 50 years. Most American homes have some form of Internet access. In 1959, the Internet did not even exist (except maybe as a concept). Computers then took up entire rooms. Dishwashers and laundry machines are almost universal in American households, then they were luxury items for the wealthy. How do you expect ANYONE to take you seriously when making such a blatant and easily researchable falsehood? (Nevermind the strange leap of logic it entalis.) Then again, maybe your Amish-style ultra-Orthodox Jewish household in 2009 is no different from 1959? I imagine you don't allow Internet (the Devil's veins) or cable TV (which is run by those apostate Jews who run Hollywood, not good Torah Jews) in your home. Poop, I'm afraid that you are a good example of someone out of his depth. I assume you are in the food service industry, probably the lower end. Please don't try to delve into the depths of philosophy. We have medications that reverse arterial blockage, thus preventing heart disease. We have greatly improved life expectancy when suffering cancer. Most of the infections that were deadly in 1940 are now routinely cured. We are on the brink of a new era in medicine and technology due to nanotechnology and recombinant genetics. We can use MRI , Ultrasound or CAT technology to get definitive medical diagnosis when in the past only surgery would have sufficed. WE can even successfully operate in a fetus in the womb. If you think that the polio vaccine and the transistor were the height of innovation in science and medicine you must have your head in a hole. These advances have brought minimal improvements to society in general. Some argue that today we over use high tech tests and end up doing unnecessary surgeries. Again, I didn't say science died; that's a little too far. But it's definitely fizzled.